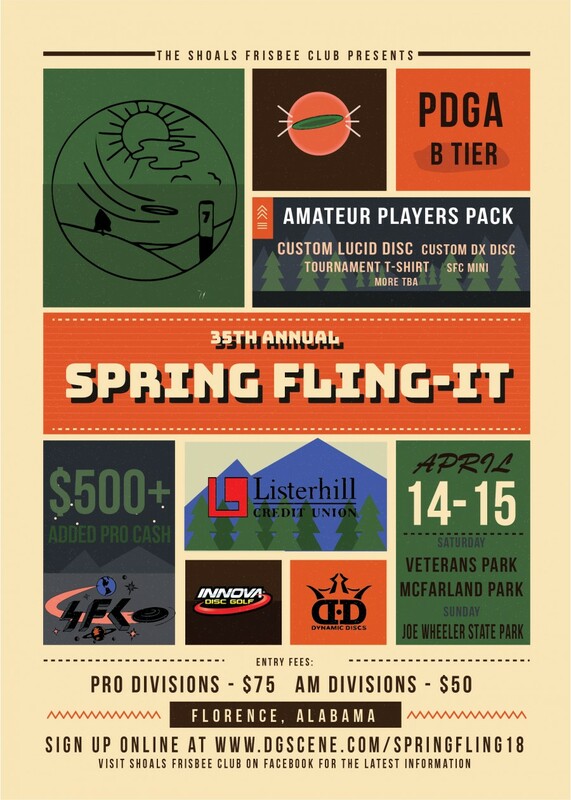 All Amateur players will receive a players pack consisting of a custom stamped Trilogy Disc, Custom stamped DX Innova Disc,Tournament T-Shirt, Birdie Bag, Drawstring Bag, SFC Mini & Sticker. Round 1 Open and Advanced players will play Long Tees at Veterans. Shoals Frisbee Club is responsible for all refunds/cancelations.